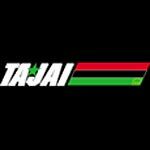 Souls of Mischief's Tajai breaks out with his first official solo single and man is it a banger! The first side is knocked out by A-Pleezy and the second side by San Diego's own Tony Da Skitzo! Woo-hah! Production: 1-3 by A-Plus, 4-6 by Skitzo.